This year marks the 26th Anniversary of Jamaica&apos;s biggest summer reggae festival, Reggae Sumfest. Expanded to include a 6 night line-up of activities, Reggae Sumfest 2018 promises to be bigger and better, with an All White Blitz party, a Sound system Explosion, Beach Party andre along with the 3 main concerts. This year’s staging will see electrifying performances from: Damian ‘Jr. Gong’ Marley, Beres Hammond, Maxi Priest, Cham, Capleton, Jesse Royal, Raging Fyah, Fanton Mojah, Naomi Cowan, PopCaan, Bounty Killa, Sizzla, Spice, Tommy Lee Sparta, Agent Sasco, Ding Dong, I Octane, D-Major and many more. The other satellite and lead up events to the big night include: The Colourfest Beach Party, The Street Dance on the Hip Strip, Blitz All White Party, Soundclash, Morning Medz Tailgate Party and the Reggae Industry Symposium. Join us live in Jamaica from the Jamaica Tourist Board&apos;s booth at Reggae Sumfest on our Visit Jamaica Facebook Live Stream starting at 9pm (EDT). Immerse yourself in the Sumfest experience and see all that Jamaica&apos;s rich culture has to offer. Tune in for giveaways, interviews and a closer look at one of the world&apos;s premier reggae festivals. Kick off the Reggae Sumfest week at Colourfest, Sunday July 15 at Tropical Bliss Beach. Go for a Monday night out at Reggae Sumfest's Street Dance on Montego Bay's famous Hip Strip. An elegant twist to the greatest reggae show on earth, come out dressed in All White on July 17. From all white to all black, this party will feature special live performances from Stefflon Don and Safaree. Experience authentic dancehall music and culture at the World Sound Clash on June 19! Learn more about the reggae music industry in Jamaica at the Reggae Music Symposium. There's even more partying to be had after the big stage show at Morning Medz, the Reggae Sumfest 2018 breakfast party. Night One of Reggae Sumfest 2018 promises unforgettable performances from these popular dancehall acts. 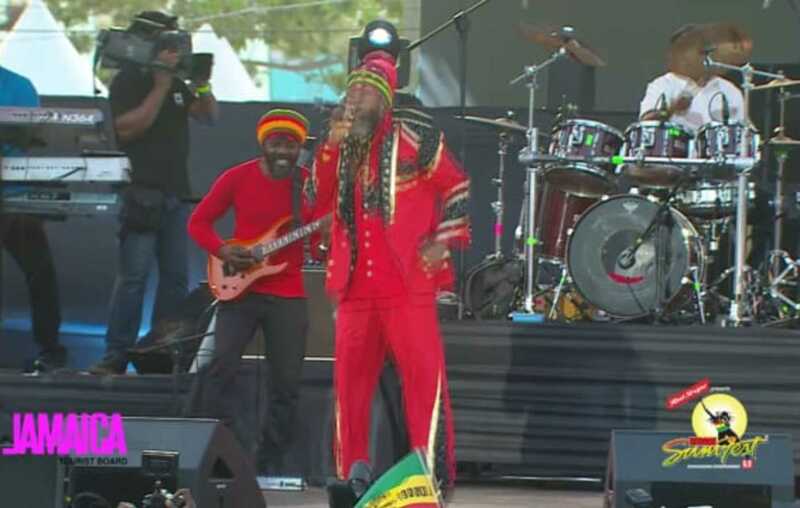 Reggae crooners, from Beres Hammond to Damian 'Jr Gong' Marley will take to the Reggae Sumfest stage on Saturday for Reggae Night.